Harry smiled down at him now that he could see his blue eyes clearly and watched every detail on his face in awe until he was interrupted by a loud fake cough which made him shut his eyes in annoyance and slowly turned to see who it was. Gemma acted innocent as if she didn&apos;t just interrupt an intimate moment and said, "Mom told me to wish you a safe trip and be safe," and smirked as she winked at them both. Louis blushed lightly as he looked away and shifted in his spot cutely as he continued to fix his fringe to distract himself. Harry said with an eye roll, "Thanks Gemma, we will see you when we get back, hopefully," which made her shrug with a smile and left after she flipped her hair back like a boss. Without a word, they both left the house and got into the limo while Harry was rubbing his neck hoping that he can calm himself down from the omega&apos;s delicious scent. The limo drove off but Harry still didn&apos;t know where they were going, all he knew is that he was going to spend the weekend with Louis. He was sure they wouldn&apos;t leave the country, not that it mattered anyway but he couldn&apos;t help but feel nervous. The whole drive, he kept stealing glances at the omega that was either looking out the window or looking at his phone. Harry thought that he might have done something wrong because the omega wasn&apos;t meeting his gaze. But in reality, Louis was just too shy to even look at the handsome alpha because he knew that it would be just a matter of time before they reach their destination. He could feel Harry&apos;s gaze on him but he chose not to look back from how nervous he was so he just looked down and fiddled with his thumbs. When they arrived, the guards opened the doors for them and they both got out from separate doors. Harry looked around at the beach house before he turned his gaze back to Louis who took one of his bags from the backseat then Harry took the bag from him and said, "You don&apos;t have to carry them, alright? They will do it for you," and then handed the bag to one of the guards who took the rest of the bags inside. Louis just blushed and nodded keeping his gaze down to his blue vans. He wanted him and Harry to spend a weekend together in hopes that they will get to know each other and hopefully something more. He didn&apos;t want to stay in his parent&apos;s house because he knew they would get interrupted, as always. But the thing is that Louis didn&apos;t want to be rude about it or complain so he thought it would be best to spend the weekend with his soon to be husband. Harry then wrapped his arms around the short omega&apos;s waist as he led him through the gates and into the house which took Louis by surprise and he couldn&apos;t stop himself from blushing and he was afraid Harry might notice the pink in his cheeks. When they were inside, Harry turned the omega by his waist softly to face him when the guards left their bags in their shared room and said quietly, "Why won&apos;t you look at me?" and kept his index finger under Louis&apos; chin so he can look at his face clearly. Louis blushed more as he felt shivers run down his spine as he looked up at Harry&apos;s green eyes and stuttered, "I-I..."
The alpha noticed the blush in his cheeks and rubbed his thumb over his right cheek and whispered, "Don&apos;t be shy... talk to me," then looked back into Louis&apos; blue eyes. 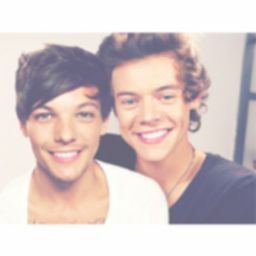 Louis&apos;s heart fluttered at that and nodded slowly as he leaned his cheek against Harry&apos;s large hand. It was just natural for the omega to seek comfort from an alpha and he knows that Harry isn&apos;t his alpha yet but he couldn&apos;t help but feel safe around him. Harry smiled down at him as he kept on rubbing his cheek with his thumb then slowly leaned down which made the omega&apos;s heart beat out of his chest while looking up at the alpha with wide eyes. He felt soft lips on his forehead which made his eyes flutter shut and leaned into him while holding the alpha&apos;s right hand. After a while, the alpha slowly pulled away which made the omega miss his comfort already but he decided to stay quiet. Harry said, "I bet you&apos;re hungry love, have you eaten anything before you came here?" It was indeed strange because Louis didn&apos;t eat breakfast from how excited he was to meet Harry and he didn&apos;t know how the alpha figured out that he was hungry. He smiled up at him shyly as he nodded and walked with Harry to the kitchen. The omega asked quietly, "Umm... what are we going to cook though?" and looked at him. Harry smiled with a shrug and said, "Whatever you wanna eat, of course, it depends if we do have the ingredients here. I really don&apos;t know how your kitchen works so you&apos;ll have to teach me," and smirked at him. Louis blushed and nodded then asked, "D-do you, um, want pancakes?" Harry went over to him and said, "I&apos;m not eating since I&apos;m full but I just wanted to cook for you so it&apos;s your call," then slapped Louis&apos; bum making him squeal and blush more which made Harry smirk in return. The omega blinked a few times before he said, "I... okay," and started getting out the ingredients and keeping them in the counter but then opened the upper cabinet going on his tip toes to try and get the oil as he whispered to himself, "Come on..." as he tried to catch it then pouted cutely and then tried to reach for it again. Harry was watching him in amusement but mostly concentrated on Louis&apos; bum in this tight jeans especially when he tried to reach to get something from the upper cabinet that he didn&apos;t even know what he was looking for. He went from behind him and whispered in his ear, "Shh, you could have asked me to get it for you," and Harry easily took the oil without even trying and kept it in front of Louis after placing a kiss to the side of his head. Louis took the oil and slowly turned around seeing Harry hovering over his short form and said quietly, "Thank you," and gave him a small smile as he started mixing the ingredients together while Harry watched in awe how the boy was so concentrated on the task in front of him like it was the biggest thing in the world. When the omega was done mixing the ingredients together, Harry went over to him and whispered, "I will do the rest love, you did great, go sit down for me yeah?" then winked at him as he turned around and started cooking. Louis was watching him as he sat on the stool, he didn&apos;t know how Harry was so open and loving towards him. It was just a lot to take in for him because he has never had a partner before and this whole thing was just new to him but he absolutely loved it. He watched Harry&apos;s strong back through his jumper, it made him look really comfy and all he wanted to do was cuddle him; Louis really loved to cuddle. Harry&apos;s voice broke him out of his thoughts when he turned around and said, "All done!" and kept the pancakes in a plate in front of Louis then looked around for the syrup until he found it and kept it next to the plate and added, "What do you want to drink love?" as he opened the fridge looking through it. Louis blushed at how fast Harry moved around all at once and said, "Umm... milk please," and kept syrup on his pancakes as Harry kept the milk in a glass and kept it next to the plate then sat down next to him watching him fondly. When Louis was done eating, he kept his dishes in the sink but felt the alpha following him but he didn&apos;t mind, he actually liked it a lot for some reason. He turned around and gasped when Harry was right in front of him looking down at him and said, "Um, hi?" and looked up at the alpha. Harry smirked and said, "Full?" then kept both of his hands on his waist slowly rubbing his thumb over his hips and the omega nodded as he looked up at Harry innocently with his blue eyes and dark eyelashes. 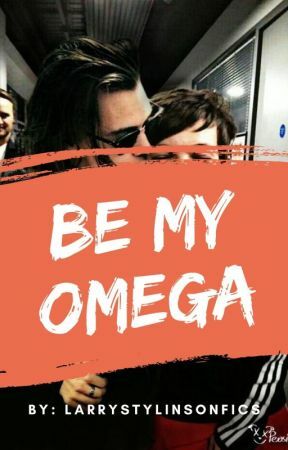 No one could blame Harry, he just couldn&apos;t get his hands off of the omega; He was alluring, attractive, and short with a big bum but most importantly... his smell drove him insane.